Here is short step-by-step tutorial for How to set Windows 8 picture password. 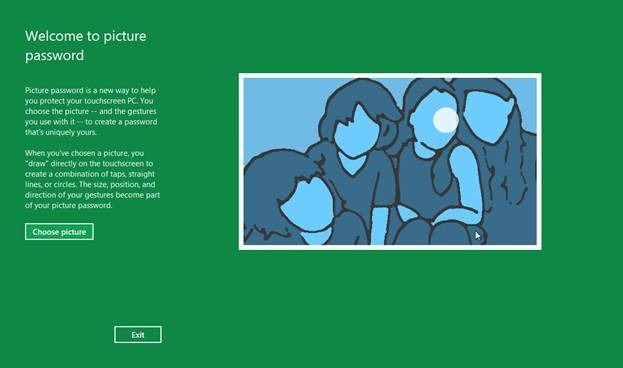 If you think that remembering alphanumeric passwords is inconvenient and less user-friendly, then Microsoft has released this burden from your head by providing the option of picture password in their latest release of Windows i.e. Windows 8. This feature is also available in the developer’s preview as well as in the beta version of Windows 8. 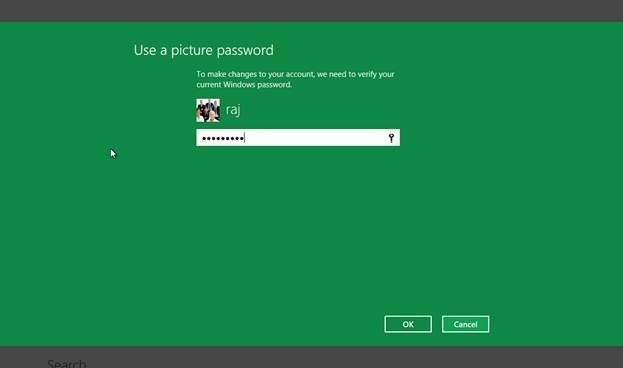 The Windows 8 picture password feature will not replace the original text password but it will be available as an option with the text password. 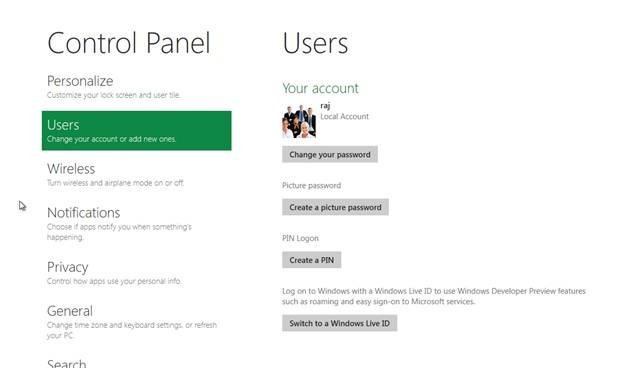 Once the picture password in Windows 8 is set, it will be used as the default login option but user can always switch back to the text password option through a link provided right there. Nice addition to Windows 8 features. Open control panel by clicking on the “control panel” tile on the Metro UI screen. Click “Users” in the control panel items list on the left side of the screen. Click “Create a picture password” on the right side of the screen. Window will verify your current text password before creating a picture password. Enter your current password and click OK.
You will see the picture password welcome screen. Click “choose picture”. Now you need to draw 3 gestures. You can use any combination of taps, circles or straight lines. Remember the order in which you make the gestures. You are required to repeat the same set of gestures two times for the confirmation of your picture password. Once done, you will see the congratulations screen that will confirm the successful setting of your picture password. You can use your picture password next time you log in to Windows. Also check out a quick tutorial for How to Backup File history in Windows 8 reviewed by us.